Lori Burch gives an overview of how she uses Delicious as a Social Bookmarking website. Since these videos have been created, a newer version of Delicious has been released. The basics are still in the video, but you’ll notice some of the features have changed. 10 minute tutorial. Describes how to set up an account in Delicious.com and how to use this social bookmarking tool. 10 minute tutorial. Discusses the finer points of how you can use this tool, explains the “tag” process and more. 10 minute tutorial. How to bookmark a website, explaining the various ways that you can bookmark website. Here are examples of how catechetical leaders save bookmarks by using Delicious. This provides and opportunity to share your research with others. With the “stack” option, here is an opportunity to create a group of websites chosen by you for a specific group. 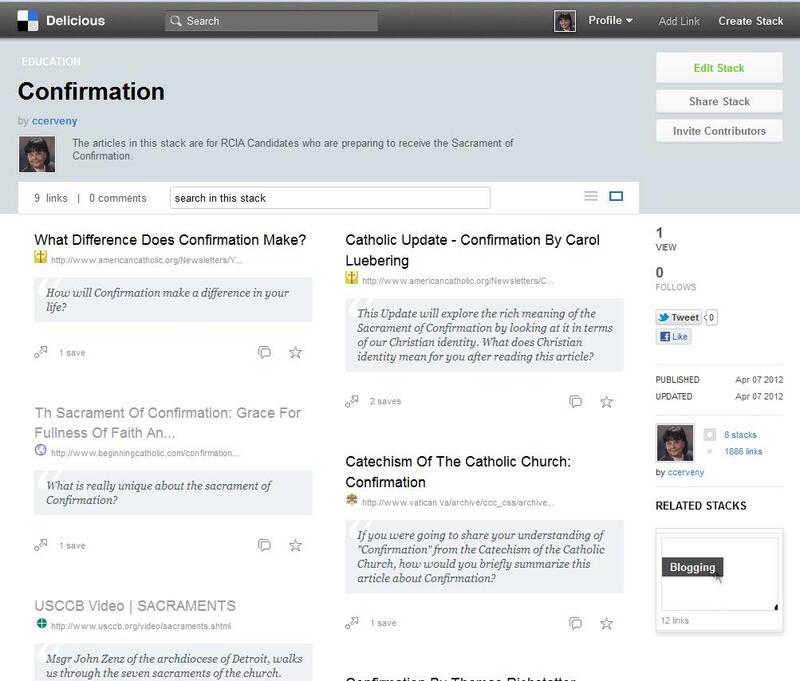 Here is an example of a Confirmation stack intended for an RCIA group. Notice how you can add comments and/or questions to the suggested links. You are able to suggest what you would like the RCIA candidate to focus on while reading the article. 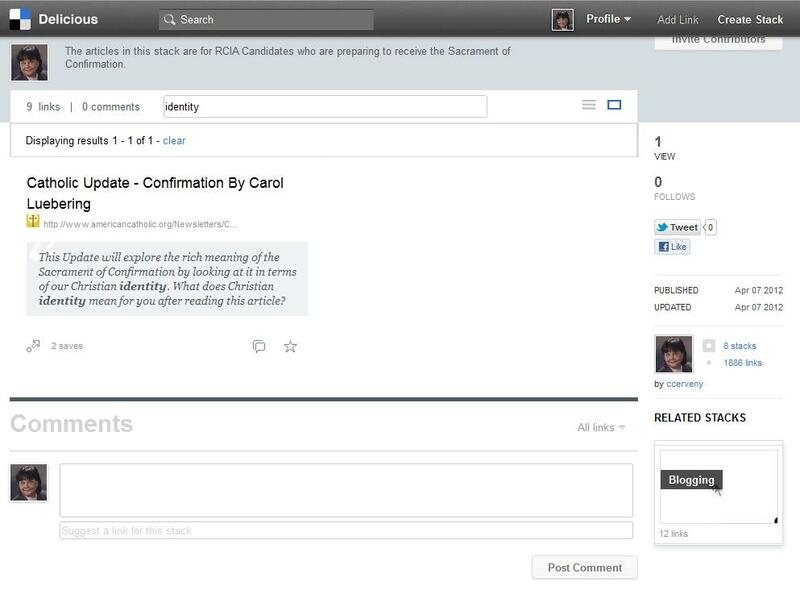 It is also possible for those participating in the RCIA program to add comments after they have read the articles. If you LIKE this post, remember to click on the LIKE button. We would love to hear from you how you are using Delicious in your ministry. When you are ready (now or later) share how you are using Delicious in your ministry. Productivity Tools: Doodle, Toodledo, and Evernote!